We are going to share them with you from the ascending order .. This guy is a undermined and exotic student of the great institution . He gained admission into the institution in 2016 and have been famous throughout his 100L, After his mighty and brave attack on the Lautech Cadet . 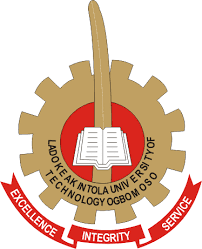 The mighty liberalist and renowned politician for the LSUG'16 saga that made the school went on lockdown before the strike has a name in the Student Union Government of Lautech . He's know for his ruggedness and doggedness throughout the campus . The 300L mechanical engineering student , commonly known as Moore is an outstanding student after getting side attractions at the Faculty of Engineering after he recorded a CGPA of 5.00 in his 200L . According to his friends, he studies 14 hours a day . A renowned student in the school commonly known for bringing celebrities into the campus. His fame is wide spread and he earned him numerous awards .